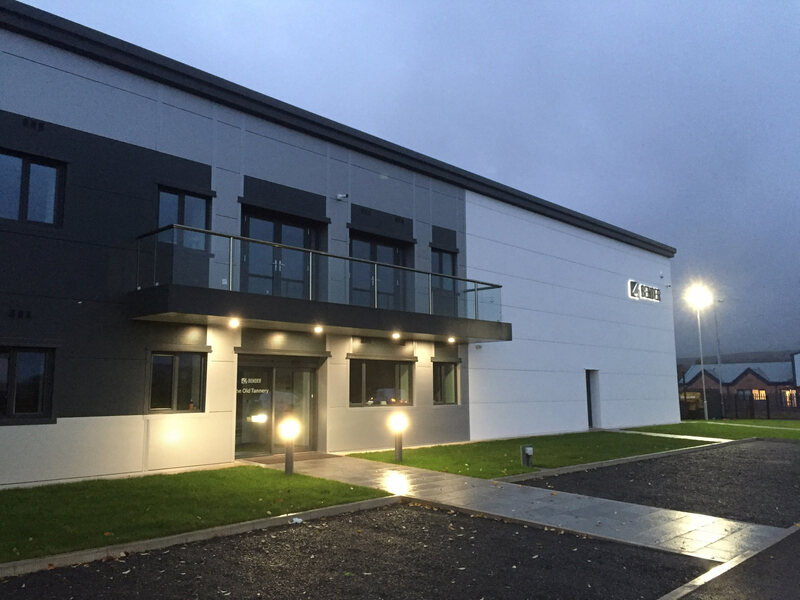 Bender UK has moved into a new purpose-built headquarters in Ulverston, Cumbria. The 2000 m² building accommodates offices, large conference facilities, warehousing, training and customer demonstration areas. The new facility and service centre is designed to accommodate continued growth and to be a showpiece for the company’s advanced technology solutions. Bender surgical lighting, touch screen theatre control panels and other critical care medical solutions will be permanently on display for client demonstrations and training. The facility is also equipped with Bender continuous monitoring technology to enable predictive maintenance of the buildings electrical infrastructure. Managing Director Gareth Brunton explains: “Our purpose-built facility represents a major investment by Bender Group in its UK operation. It provides superb facilities for the training and 24/7 technical support provided to customers across the UK and Ireland. Bender UK has doubled in size since 2010 driven by its ability to deliver bespoke engineered solutions and an advanced service and support capability for the medical sector.